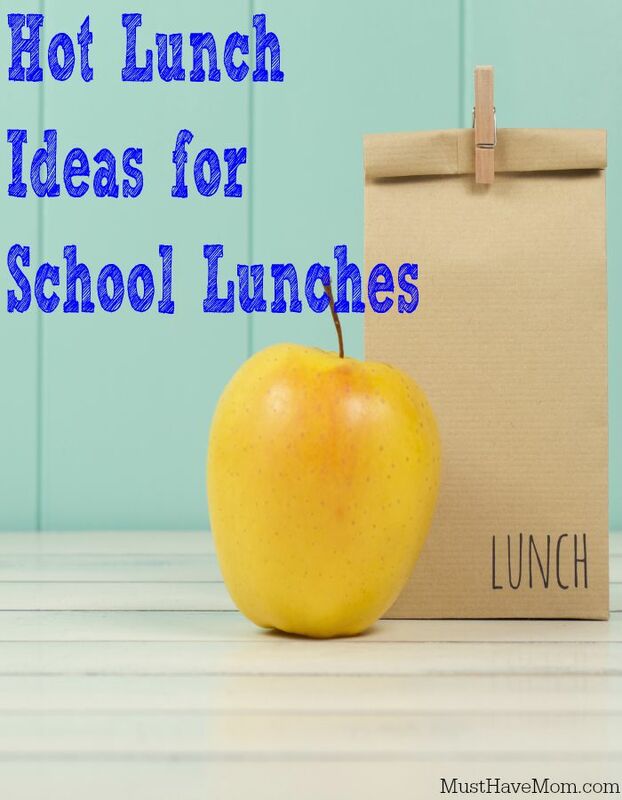 With fall and winter quickly approaching it’s time to start thinking about lunch ideas to keep the kids warm. Packing a warm thermos lunch is also a great way to add some different lunch options to your menu. Kids, just like adults can get tired of eating the same thing over and over again. 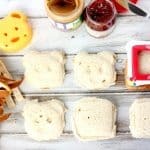 So ditch the sandwich this week and opt for some of these thermos lunch ideas for kids instead! 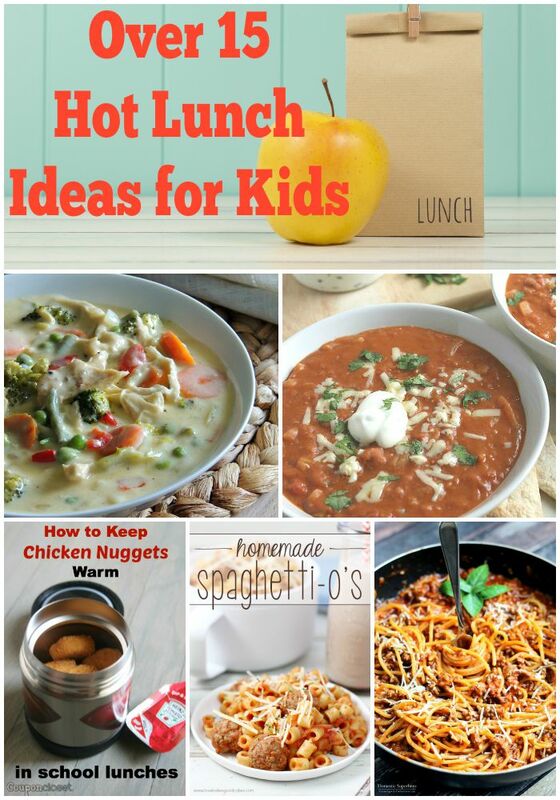 Here are over 15 lunch ideas perfect for a thermos lunch. Not sure how to use a thermos? Simply bring water to a boil and fill the thermos with boiling water for 10 minutes to pre-heat it. This will ensure it keeps food hot for a long time! 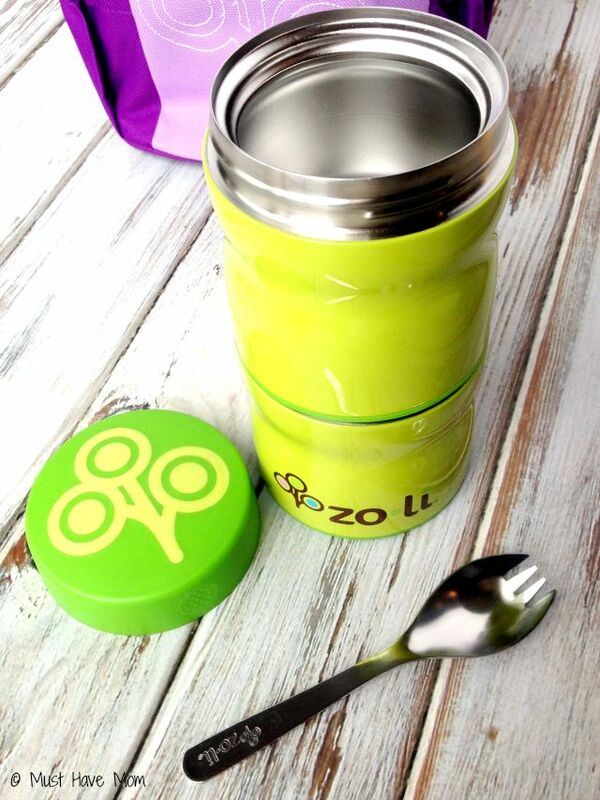 Our absolute favorite thermos is by Zoli and it’s called DINE. It’s the perfect kid-size thermos for your child’s lunch. It fits in their lunch pails and keeps their food hot until lunch hour at school. It’s easy enough for them to open themselves and it doesn’t leak. We love the bright colors too! Each of my kids has a different color so it makes it easy to pack their lunches each morning. 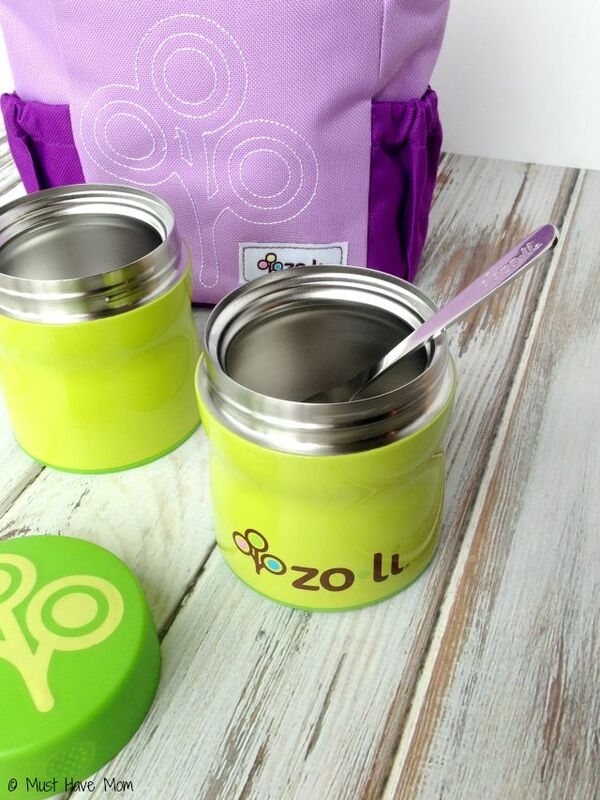 Toss in a FOONI and your child will be ready to eat their hot lunch! 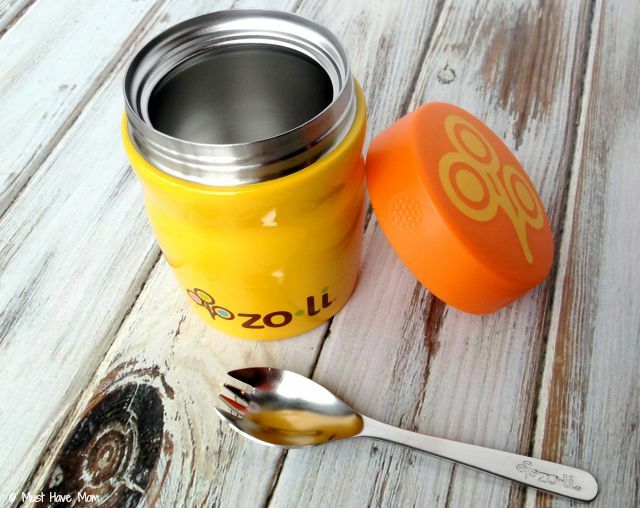 We also love to use the Zoli THIS & THAT for packing something hot and cold. The insulated containers keep hot and cold things separate and keep them each hot or cold. I love to pack things like hot oatmeal in one and yogurt in the other. Other ideas are taco soup in one and sour cream to top it with in the other. The possibilities are endless and I love the flexibility it offers with the two separate containers. Alternatively you could also use it to pack 2 hot things or 2 cold things and keep them separate from one another. 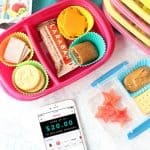 The THIS & THAT fits perfectly in the NOMNOM insulated lunch container too! This year I’m determined to keep my child’s cold lunch options interesting and avoid having him burn out on sandwiches! I hope my ideas have inspired you! Oh Yum! These soup recipes sound delicious and fun to make. I like the thermos ideas and know that my son and daughter would love the Tomato soup recipe with a grilled cheese sandwich! It is a fun surprise when they are expecting a cold lunch. Wow some really wonderful ideas there. 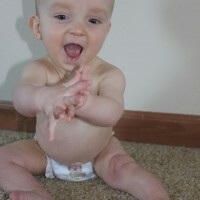 My little guy loves soups, casseroles, etc. He would love to open his lunchbox and find any of the ideas listed above. You’ll have to surprise him one of these days with one of these lunches. What a great list of ideas! My kids get sick of the same old thing for lunch very quickly. How to keep Chicken Nuggets warm? Brilliant!! My little niece is going to be thrilled when she finds those in her lunchbox. It is a fun way to surprise them with something other than the usual sandwich. Wonderful ideas! My girls have finally decided to skip the yucky school lunch and start packing it…for the last 15 days of school! Lol! These ideas will come in very handy, thanks! Better late than never. lol Hopefully these will help you end the year with a bang. 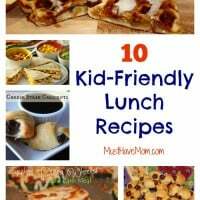 It can be hard to come up with different things for lunch without sending your kids with the same thing every other day. Great ideas! Thanks for linking up with Delicious Dishes Recipe Party!